The future is going to be weird. I’m sure every generation of people has shared a similar sentiment, as the radical ideas for the future often scare humans with technologies and capabilities we simply aren’t accustomed to. We’ve seen so much new tech from BMW, as well as every other automaker, as of late. Car-sharing, ride-hailing, full autonomy, complete electrification and increased connectivity have all been demoed and theorized to the point of freaking a lot of car enthusiasts out. But Jaguar has just taken the strangeness a step further with its “Sayer” concept. Named after Malcolm Sayer, the man who worked at Jag through the ’50s, ’60s and ’70s and designed the C-Type, D-Type and E-Type, the Sayer will be a removable steering wheel which will essentially act as the Jaguar customers own. So rather than going down to the Jaguar dealership, customers can just order a Sayer and they will receive a smart steering wheel. 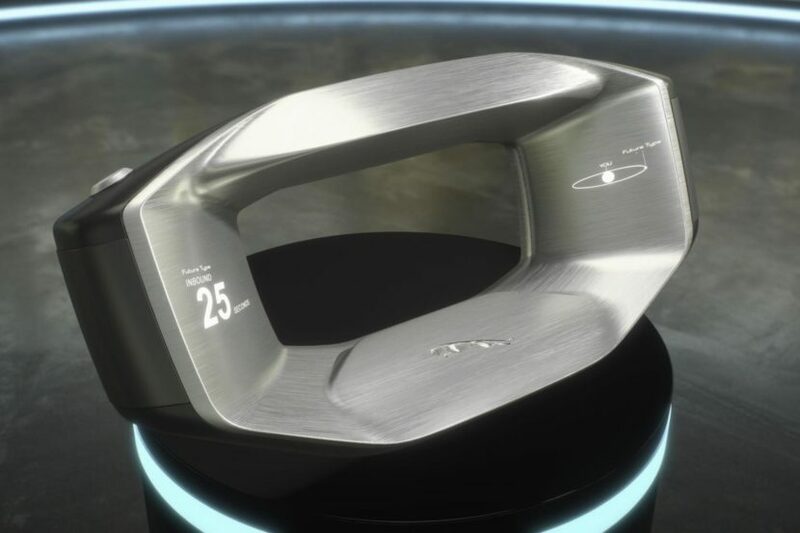 The Sayer will be a voice-activated, artificially-intelligent smart steering wheel that supposedly can handle hundreds of tasks. One of those tasks will be to summon an autonomous Jaguar to your home from the comfort of your couch. Much like ordering an Uber, the Jag will arrive at your location, on its own, and you just get in, connect your steering wheel and either drive off on your own and have it drive autonomously for you. So, much like BMW, Jag doesn’t want to take the ability to drive away from its customers. This is a pretty radical idea and sounds a bit odd but also a bit cool. I’m not sure if it’s that much better than just summoning an autonomous car, that has its own steering wheel, from your mobile phone and just driving that. But it’s an interesting idea that seems kind of cool. Though, the steering wheel pictured seems a bit bulky to carry around. Admittedly, Jaguar doesn’t think such an idea will happen until 2040, which is such a long way away, that the idea could easily be trashed by then. However, if Jaguar does come out with this, its customers are going to have to walk around with a steering wheel with them at all times. Car enthusiast might like it, but car enthusiast would probably also rather own their own car.